A nice chart comparing the various DMR radios from Baofeng, TYT, Anytone, etc. This kinda slipped by me, but you can get the ANILE-8R in both UHF and VHF now. Just messing around with Google Trends... any other interesting comparisons or surprises? 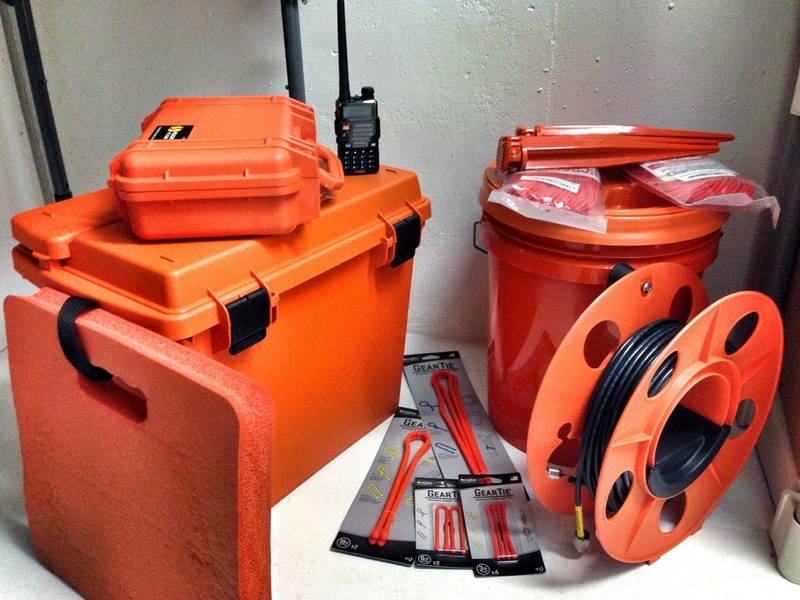 "FAQ: GMRS, MURS, and Commercial: How does it work? A clarification for users as we update our FCC certificates: The radios modes are individually tested and certified in each mode. The modes are able to be locked down to exclusively operate in the radio mode selected, and are ONLY legal to be used on those frequencies while operating in the selected mode. (No GMRS or MURS use while in the Commercial/Amateur mode). These radios are not to be used on FRS as these are not FRS radios or certified for FRS use. There will not be a firmware update to allow simultaneous GMRS/MURS use with the Part 90 frequencies. 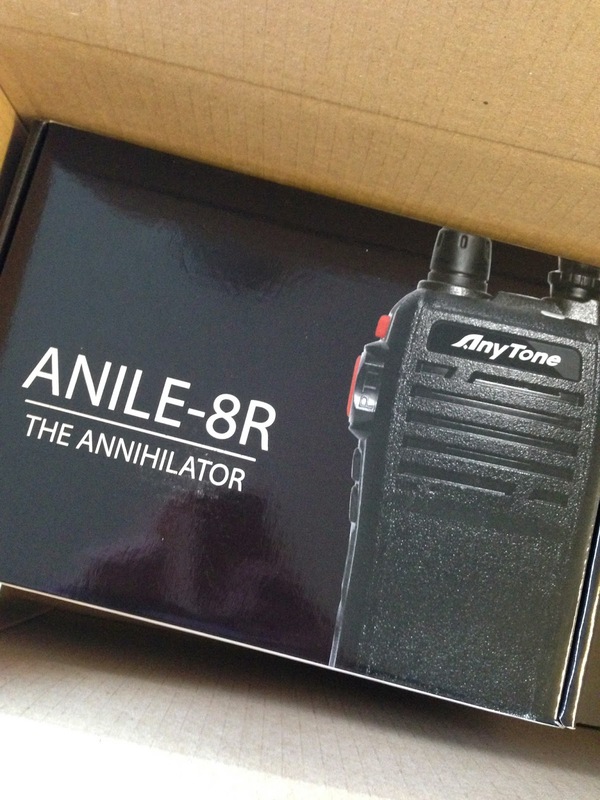 The NSTIG-8R and ANILE-8R are not GMRS or MURS certified." As a reminder, the TERMN-8R and OBLTR-8R have the MURS and GMRS capabilities. The NSTIG-8R and ANILE-8R do not. "Being used daily it needs charging often and many times I need to charge it on the go. Luckily this was an easy modification since the charger’s circuit is happy to accept anywhere between 12 and 15v DC." 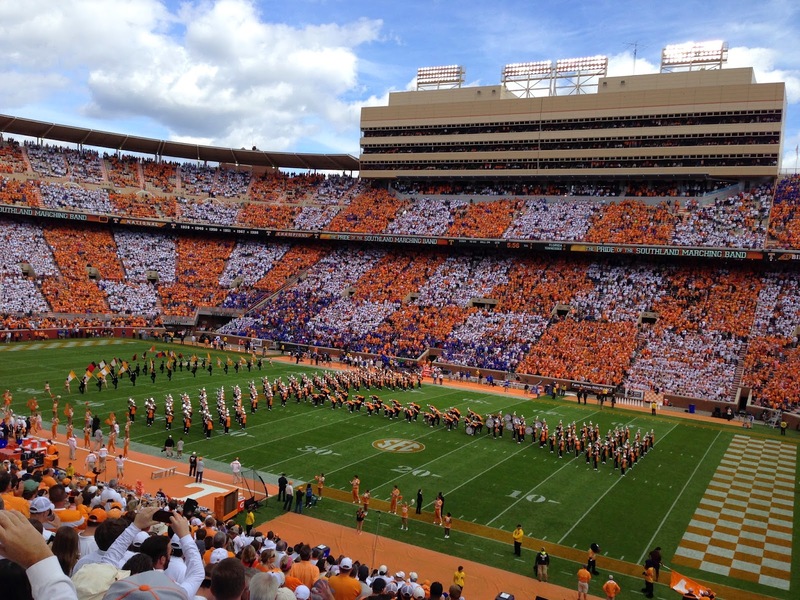 Of course, being from Knoxville, I'm a fan of orange (and white). And it makes sense that I would like the orange on the TERMN-8R. "After being confronted with all the lies surrounding the Pofung GT-1 there’s no way I can justify a diplomatic way of saying things. The GT-1 is just old wine in a new bottle, the battery voltage / capacity is one big lie and so is the promised power output. The receiver is still disappointing unless you live in the proverbial ‘middle of nowhere’. To make matters worse the GT-1 is more expensive than a Baofeng BF-666S / BF-777S / BF-888S." The Baofeng UV-5R is a very popular radio. I don't have any real data to prove this, but anecdotally it seems to be a favorite of new hams especially. 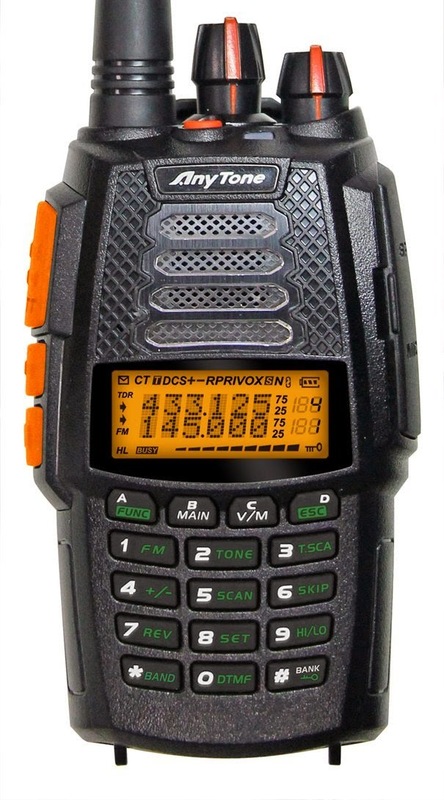 AnyTone Tech is making the case for spending a little more to get the NSTIG-8R - which clearly has better features than the Baofeng UV-5R. I can confirm the NOAA alerts work on the TERMN-8R. I was getting my e-mail warnings (like the one at the bottom of this post), so I thought I would listen to the SkyWarn 940 Net when I remembered to turn on the NOAA alerts. HAZARD...QUARTER SIZE HAIL AND 60 MPH WIND GUSTS. KG7NXH: "This is probably the best Chinese dual band walkie talkie out there." Per the AnyTone Tech web page, CHIRP now has basic channel editing support for both the TERMN-8R and OBLTR-8R. I'm sure there will be more to come. 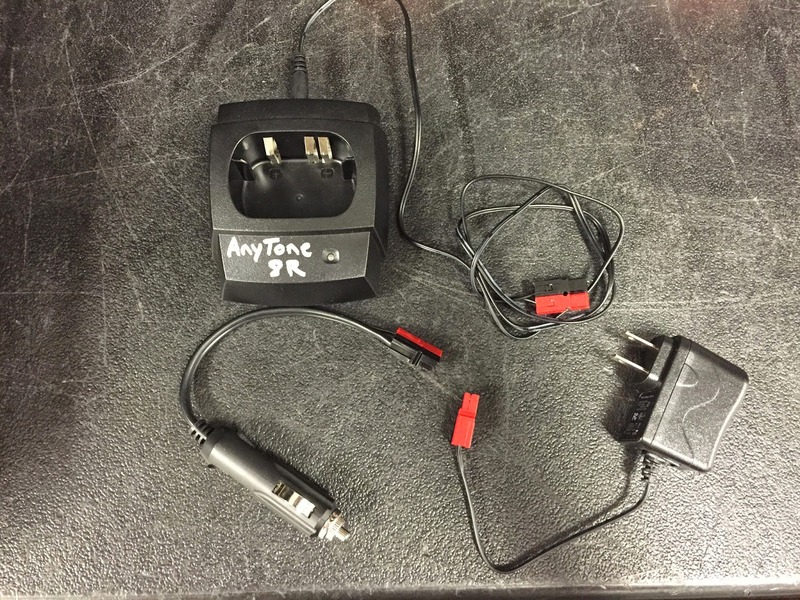 AnyTone Tech is giving away a TERMN-8R. Check their Facebook page for details. TERMN-8R also has FM/AM (Aviation Frequencies)/SW (Shortwave)/LW (AM Radio Frequencies) for a total of 4 additional RX radio bands. Press "A Function" key then press "1 FM" key to turn on the FM radio. In the AM/FM Mode you can press the "A Function" key and then the "* Band" to switch between FM/AM (Aviation Frequencies)/SW (Shortwave)/LW (AM Radio Frequencies) bands, pressing the "B Main" key will mute/un-mute the radio functions. I spent some time playing with MURS on the TERMN-8R and OBLTR-8R. I had some help. 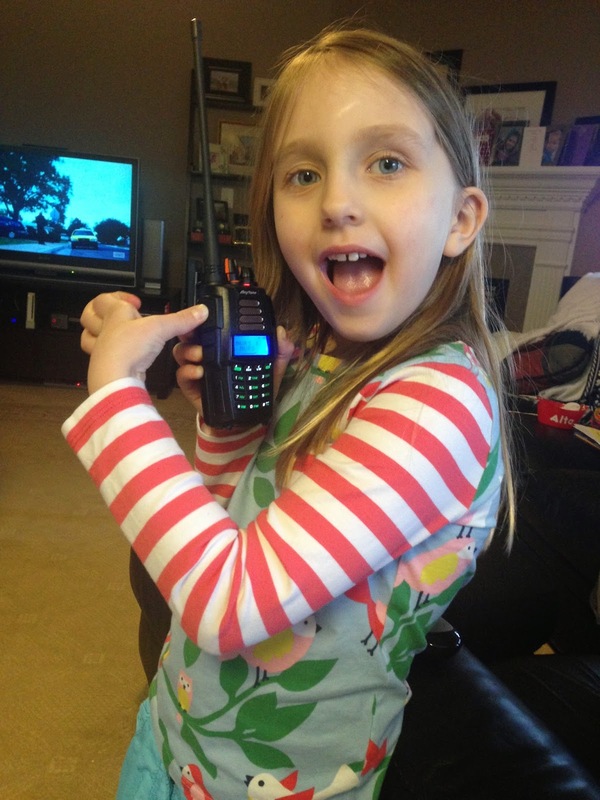 She had a lot of fun and got the hang of the radio very quickly. I've seen the stories of young hams, but I don't think she's interested enough to study for the exam. After playing with them in the neighborhood, I took the TERMN-8R on my way to pick up dinner. I got about a mile away before she was unreadable on the OBLTR-8R. I had not thought about how handy and entertaining having the MURS option would be. Turn the radio on while holding down the bottom button/the second programmable button. You will hear a beep. Press the "B MAIN" button to cycle through the options until you see "PART95"
Turn the channel knob until "MURS" appears. You are now in MURS mode and can select the various MURS channels. You can see the MURS settings in the software. I've been playing with the software for the TERMN-8R. I think you can learn a lot by looking at the various options. You can see the NOAA (read-only) frequencies and the emergency tone here. All AnyTone, all the time right now... Hans and John review the OBLTR-8R. at a price tag under $100 level is pretty darned impressive." Just a quick sample of the dual receive on the TERMN-8R. 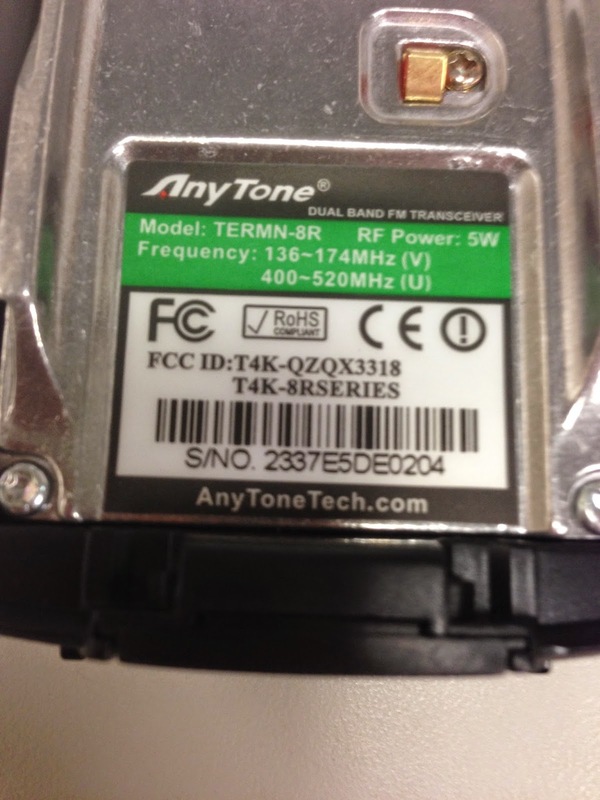 People are always asking about the FCC information, so here is the label from the TERMN-8R. If you go to the FCC website, you can see the details. "I really like the NSTIG-8R. The design is refreshing, the radio offers more functionality than the average low cost radio, and it’s built like a tank. The price of the radio is twice that of a Baofeng and half that of a basic Yaesu FT-60. I understand people muttering about prices (it’s the first thing we hams do, it must be in our DNA), but the relation between price and quality is right on target here." For those keeping score at home, that's now positive reviews for the NSTIG-8R, TERMN-8R, and ANILE-8R from Hans/John at Hamgear.